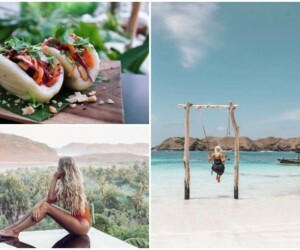 You haven’t experienced all that Bali has to offer if you have yet to step foot in Jimbaran Bali - fast becoming the new go-to place on the island. With calmer, crystal blue waters – Jimbaran Bay is one of Bali’s best and safest beaches with spectacular sunset spots to boot. Jimbaran’s waves are perfect for beginners. Get Balangan Wave Surf School or Rip Curl School of Surf to give you a hand getting up on that board. 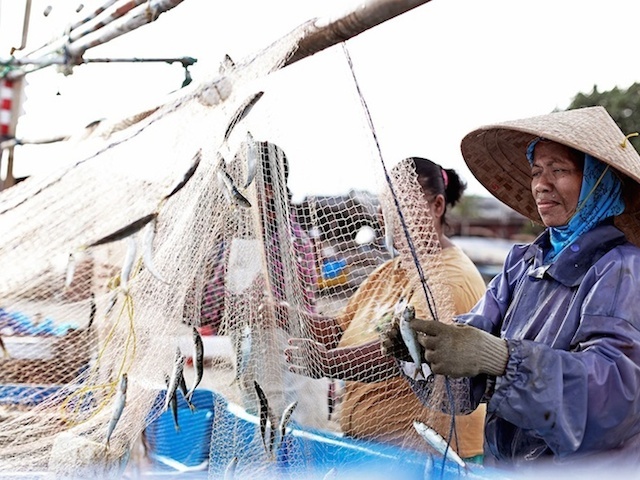 Wake up early and venture out to the local fish market to watch restaurant owners claim their catch-of-the-day. Better yet, climb aboard, set sail and spend the day on a local fisherman’s colourful outrigger and be part of the Balinese version of ocean-to-table dining. For the freshest seafood on the island, go beachfront on Jimbaran Beach. Drive up the hill to PEPeNERO for delicious Italian fare and a divine view. 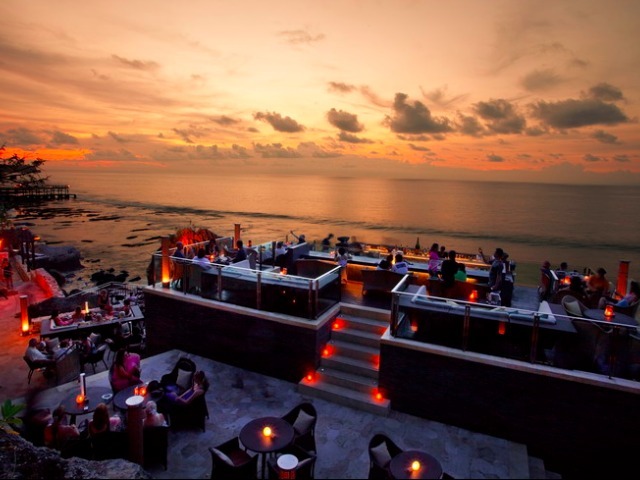 Catch a gloriously golden sunset at AYANA Rock Bar. Need that infinity edge feel? 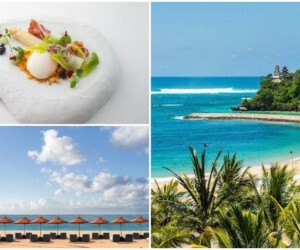 Head to Sundara for canapés and cocktails and a stunning view. 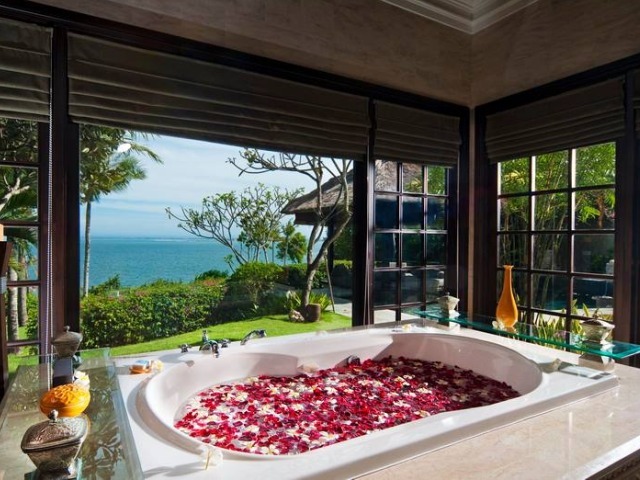 Aura Spa Jimbaran’s Spa Yoga programme is perfect for those seeking true nirvana while the eco-inspired Bamboo Spa by L’Occitane is a visual spectacle in its own right. RIMBA Rooftop Spa by Thermes Marins Bali, voted world’s best spa by Condé Nast Traveller readers, is also an excellent spot to re-energise. 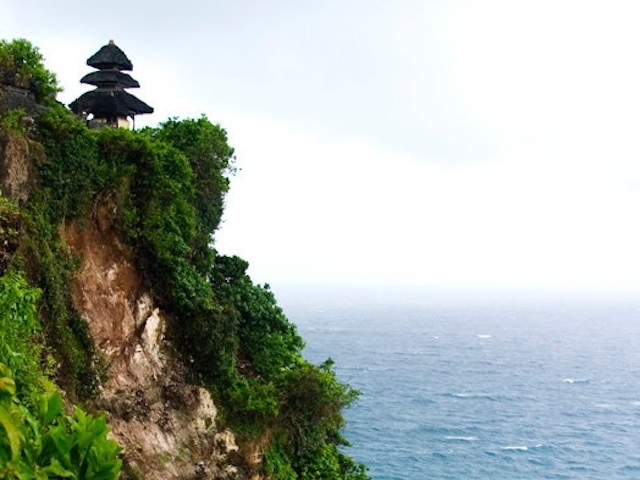 The Uluwatu temple, perched on a cliff-edge over the thunder of the ocean below, is one of Bali’s iconic landmarks, and its intricate stone carvings are the reasons why the 11th century Hindu temple is featured so heavily on postcards. 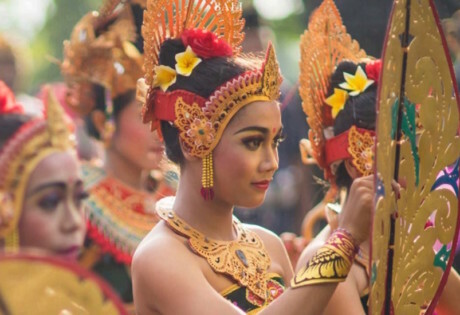 Also, don’t forget to catch Bail’s most iconic dances, the Kecak fire dance at GWK Cultural Park. 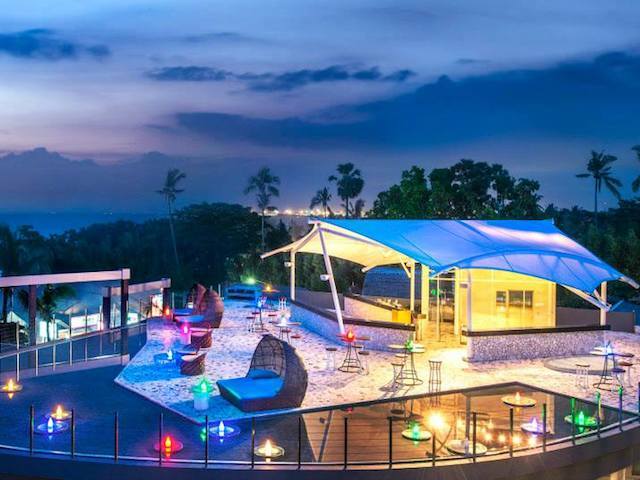 If you like to shake your thing, Le Meridien’s Smoqee Lounge and Sky Bar has that winning combination of cocktails and sunset, and after dark, the chequered dance floor beckons. There’s plenty to keep kids happy and occupied. A day pass to The Intercontinental Hotel Water Sports Club gives unlimited access to their equipment like kayaks, surfboards, stand-up paddles and boogie-boards. 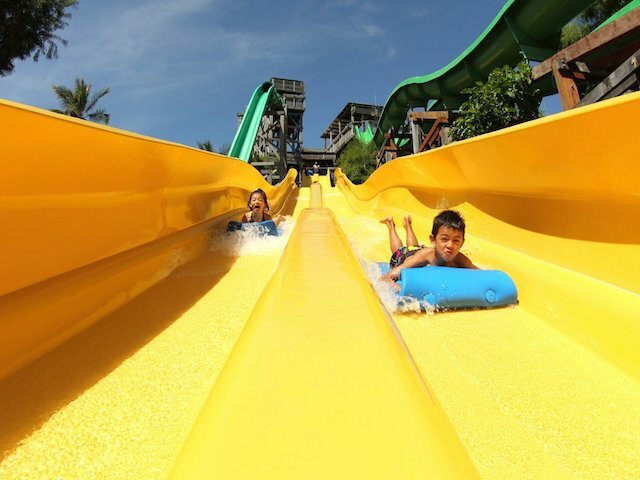 Beyond the beach, check into water park Waterbom Bali – your little ones can spend the day slipping down waterslides. 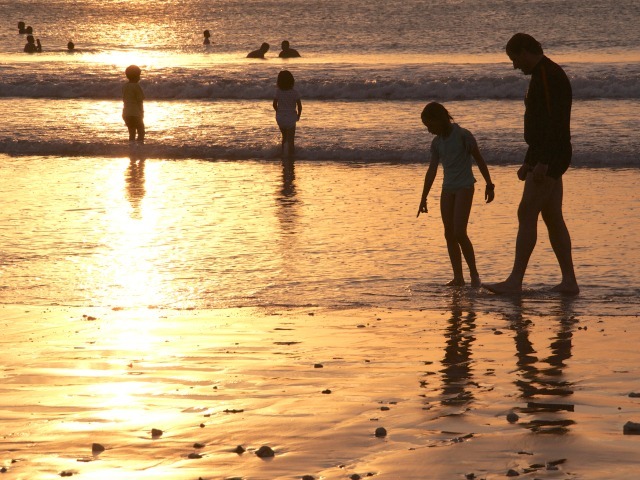 End the day together with a family Jukung boatride to watch the sunset from the water. 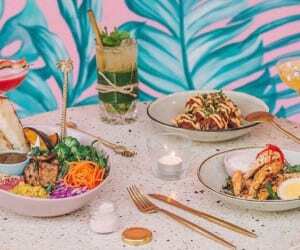 Bring a piece of Bali back with you from homeware stores Warisan and Kian Interiors, or design your very own ceramic centrepiece with the kids’ input at Jenggala. Shacking up in lavish villa Sea Shanty means everything we talked about is almost literally within arms reach. 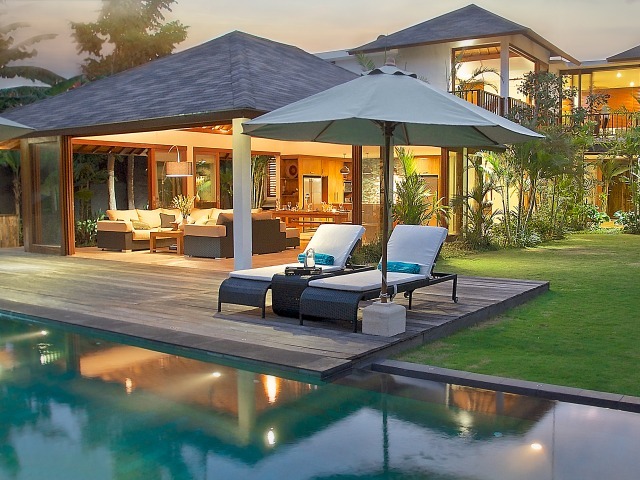 The villa sits just 100-metres from the beach on the southern end of Jimbaran. 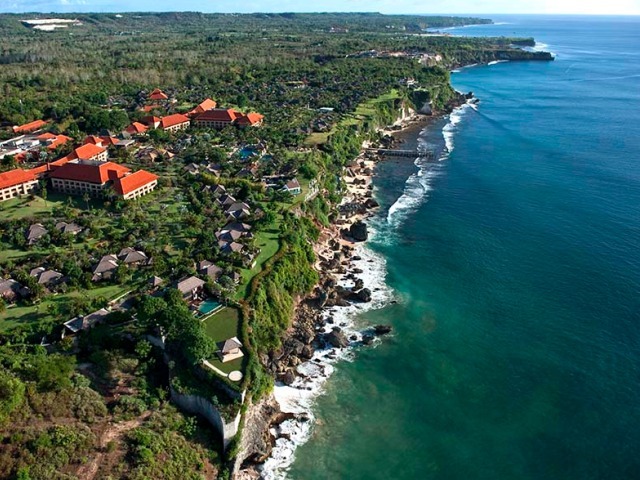 With it’s 15-metre lap pool, friendly and extremely helpful villa staff – this is our home away from home in Jimbaran. 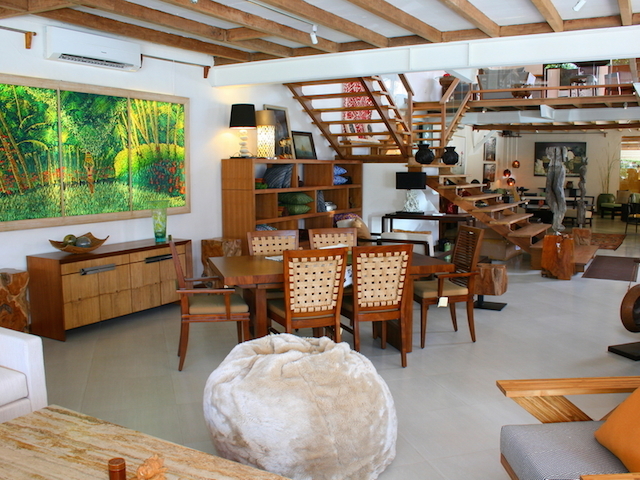 Cause we love this villa (and love y’all) we bagged a great deal for you. 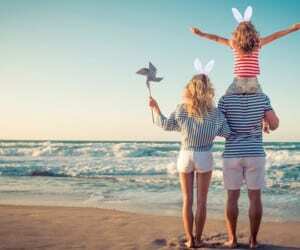 From now till 30 Oct 2014, book a 3-night stay and pay for only 2 nights, or stay for 5 nights and pay for only 3 nights at the Sea Shanty villa! Book now at guestrelations@seashantyjimbaran.com. Terms and conditions apply, and all bookings will be subject to availability. The Sea Shanty, Jalan Bukit Permai, Gg SMP Taman Sastra, Ubung, Jimbaran Bali 80364. Click here to find out more about rates and booking availability. This article is sponsored by The Sea Shanty.